More — Subsplash.com | Engage your audience like never before. 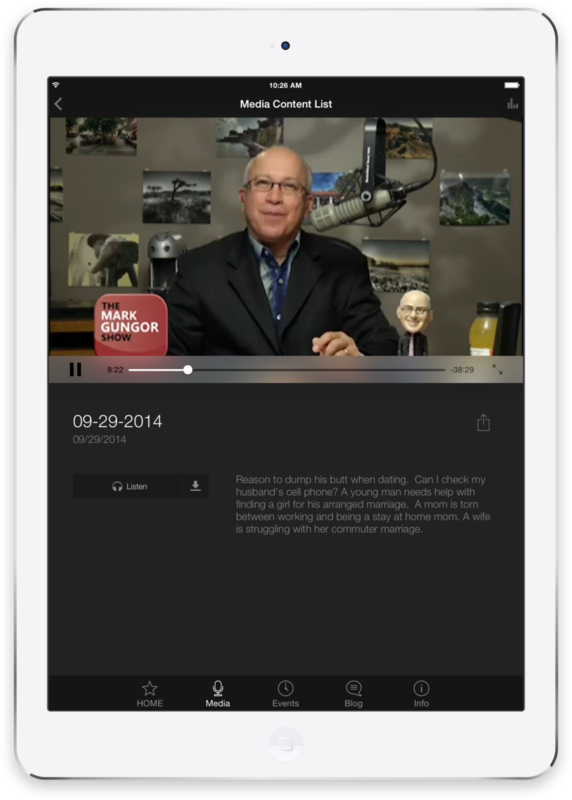 The Mark Gungor app gives users convenient access to listen to or watch Mark live as well as review past shows. Users can also keep up to date with Mark's events. With the Experience Conference App, attendees can get info on events, changes in schedule, and exhibitors, not to mention access to music and videos. Grow your audience and engage your community today.